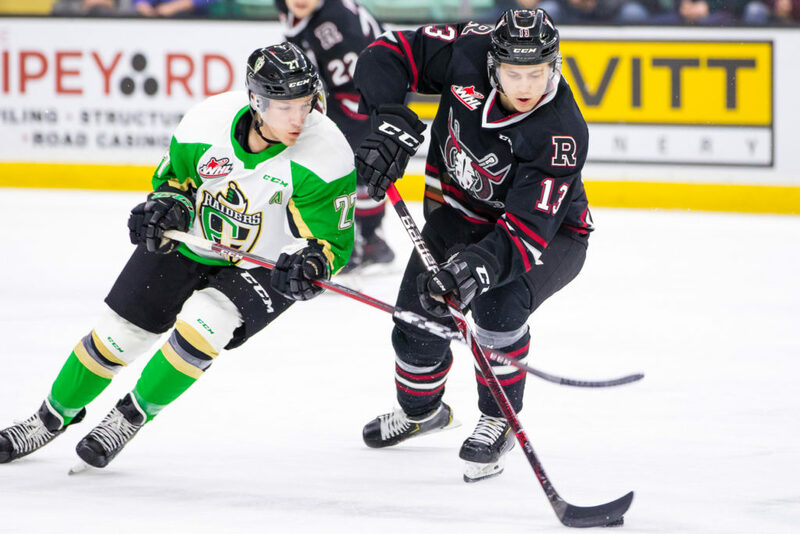 If the upcoming Red Deer Rebels-Prince Albert Raiders WHL Eastern Conference quarter-final was posted with the Las Vegas sports books, it’s safe to say bettors could get outstanding odds on the Rebels. “We know the situation. There’s no one in the hockey world that’s saying P.A. 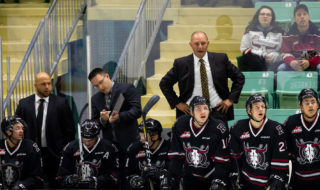 isn’t the favourite,” Rebels GM/head coach Brent Sutter said Tuesday. Indeed, the Raiders finished first overall in the league — losing only nine regulation-time games — were ranked No. 1 in the nation most of the season and finished as the No. 2 team in the CHL Top 10 rankings. The Rebels, conversely, struggled over the second half of the season and finished with a 33-29-42 slate, which allowed them to nab the conference second wild-card playoff berth. 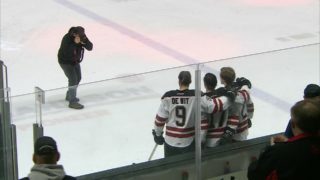 However, Red Deer played Prince Albert tough in all four regular-season head-to-head meetings, all of which were decided by a single goal. 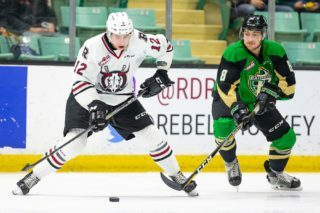 The Rebels prevailed 4-3 Oct. 6 at the Centrium, fell 2-1 a week later in Prince Albert, lost 4-3 at home Nov. 27 and dropped a 2-1 shootout decision on the road March 1. 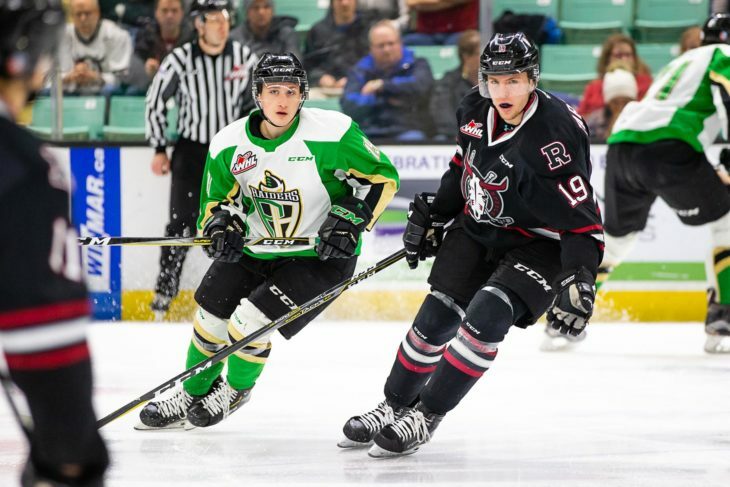 The likes of overage forwards Brandon Hagel, Reese Johnson and Jeff de Wit, along with 19-year-olds Brett Davis and Cam Hausinger, will have to bring their respective ‘A’ games for the Rebels to have any chance of posting an upset. In fact, the Rebels will need all hands on deck in order to garner success. In other words, every single player. “The thing is, no one can hide in this series. It’s going to be very noticeable if you do,” said Sutter. “We need everyone playing and playing well, doing what they’re supposed to be doing. The Raiders are deep up front with a dynamic top six of Brett Leason, Noah Gregor, Cole Fonstad, Parker Kelly, Dante Hannoun and Sean Montgomery. They also possess an experienced blueline along with one of the league’s premier goalies in Toronto Maple Leafs prospect Ian Scott. The Rebels, then, are facing an extremely tough task, but clearly rose to the occasion versus the Raiders this season. “You better play well against them. You better do things right, you better be a disciplined team and you better play hard and compete, because you know they’re going to,” said Sutter. “They have a lot of guys who can do damage. They’re an older team and an experienced team and they’re well coached. The Rebels closed out the regular season with four consecutive losses and will have to restoke their competitive fires in practice this week. “To me it’s about making sure we get ourselves in the right mindset. You have to believe, that’s the biggest thing,” said Sutter. 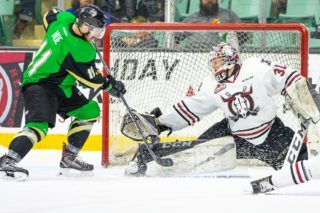 The first two games of the best-of-seven set will be played Friday and Saturday at Prince Albert’s Art Hauser Centre, with the series shifting back to the Centrium Tuesday and Wednesday of next week. 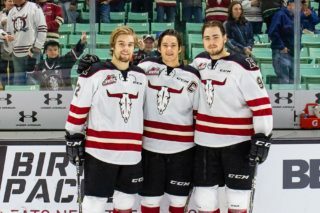 Games 5 through 7, if necessary, will go March 29 in Prince Albert, March 31 in Red Deer and April 2 in P.A.